But as the attorney general of the nation’s largest state — and therefore one of the most powerful law enforcement officials in the nation — Harris declined to investigate Herbalife, the nutritional supplement company that has been accused of fraudulent marketing practices. 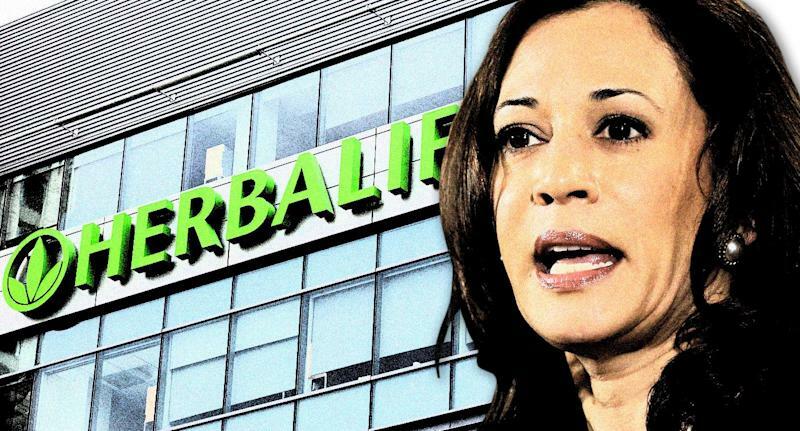 Documents exclusively obtained by Yahoo News show that in 2015, prosecutors in the San Diego office of the California attorney general sent Harris a lengthy memorandum that argued for an investigation into Herbalife and requested resources in order to undertake such an investigation. Similar investigations into Herbalife were already taking place elsewhere. About three weeks after the San Diego letter was sent, Harris received the first of three donations to her campaign for the U.S. Senate from Heather Podesta, the powerful Washington lobbyist whose ex-husband Tony’s firm, then called the Podesta Group, had worked for Herbalife since 2013. Heather Podesta’s own lobbying firm, Heather Podesta and Partners, would soon be hired by Herbalife, too. Harris did not pursue an investigation, even as the Federal Trade Commission proceeded with an investigation of its own, which had been opened the previous March and which suggested that sufficient grounds for such scrutiny did exist. In fact, the San Diego letter had meticulously laid out those grounds, pointing out that Herbalife presented itself to the public as a lawful enterprise, but that it could nevertheless be “engaged in less obvious conduct” that potentially harmed both Herbalife distributors and Herbalife customers. Allegations of such conduct, by 2015, had become commonplace in media reports. Harris never gave a reason for declining to investigate Herbalife, but the decision stands in contrast to her oft-expressed promise to fight for ordinary Americans for whom the 21st century economy seems to hold little promise. Those are the very same Americans, critics say, that Herbalife recruited — and exploited. Harris’s presidential campaign said it was not accurate to see in her treatment of Herbalife a hesitation about aggressively pursuing corporations. Harris “has a long record of going after bad corporate actors engaging in fraudulent behavior and delivering results for people who have been taken advantage of,” said campaign spokesman Ian Sams. Founded in 1980, Herbalife calls itself a “global nutrition company whose purpose is to make the world healthier and happier.” It is a multilevel marketing operation — MLM, for short — meaning that instead of selling its weight-loss shakes and pills through proprietary outlets, it relies on distributors who make a commission when they sell the products, which they can do out of their own homes or through “nutrition clubs” that cannot feature Herbalife branding, even though they sell Herbalife products. Such clubs have recently proliferated in Latino communities across the United States, where Herbalife’s hold is strongest. 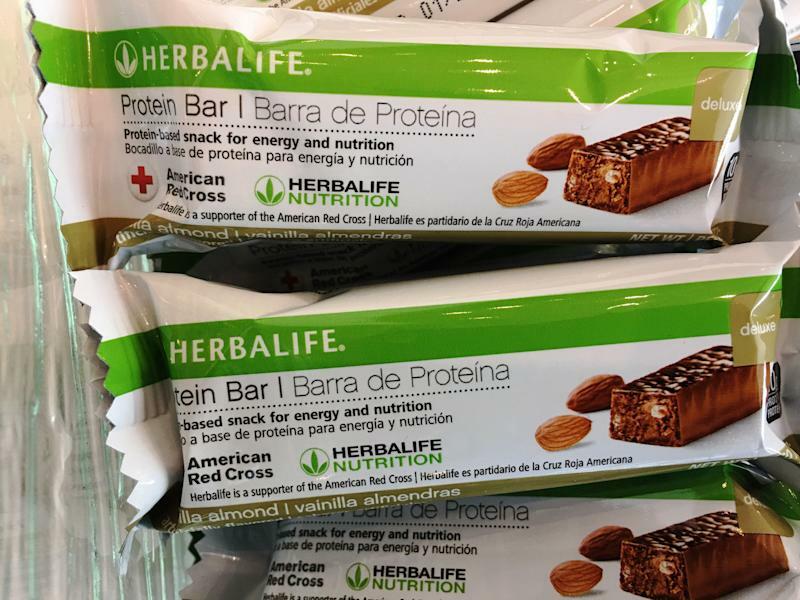 Herbalife attracted scrutiny almost from the start. In 1986, the state of California imposed a consent decree on Herbalife that said the company could not make “false or misleading representations” about how much money distributors could expect to make. The company also had to stop making allegedly false or exaggerated claims about its products. But that did little to stop the company’s growth, and it continued to rapidly expand both in the United States and around the world. In 2003, Herbalife hired Disney executive Michael O. Johnson, who brought management sophistication to its operations. A tanned triathlete, he seemed a living embodiment of the company’s promises. (The company’s founder, Mark Hughes, had died of a drug overdose three years before.) The company went public the following year; a 2005 annual report declared its market capitalization to be $359.8 million. But despite Johnson’s efforts to add corporate sheen, critics maintained that Herbalife’s profits came not from sales of its weight loss products, but in the aggressive recruitment of new members, each of whom was expected to buy large amounts of inventory from the company. The new recruits quickly realized, according to Herbalife’s detractors, that the inventory of pills and powders itself was largely worthless and that the only way to make money was to attract new recruits. Herbalife has long denied such accusations, portraying itself as a company that provides access to wealth to people who, for one reason or another, are unable to find success in traditional employment. The company declined to speak on the record for this story. Harris was first asked publicly to look into Herbalife’s alleged wrongdoing in 2013, when the company held its Extravaganza Latina in Los Angeles. 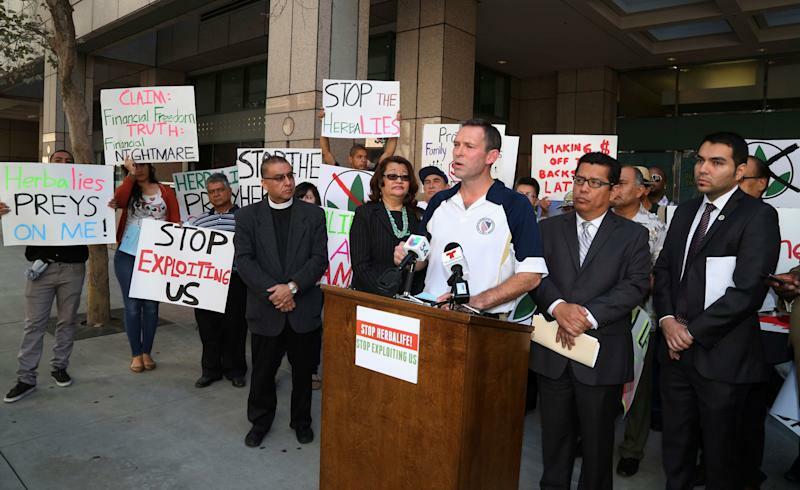 Protesters picketed the event, urging Harris to investigate Herbalife. “We are asking Attorney General Harris to help us protect vulnerable, low income Latinos and other minorities from these schemes that have cost people their life savings,” one of the protest’s organizers said. Ackman eventually came to take an astonishingly bold $1 billion short position on Herbalife, meaning that he borrowed stock in the company with the expectation that the price of the stock would fall dramatically. If that happened, Ackman’s short would provide him with a massive windfall, not to mention a validation of his beliefs about the company. Ackman and Pershing Square declined to comment for this article. Ackman’s public quest to take down Herbalife — he was explicit about that goal — brought newfound scrutiny to the company, pressuring regulators to act. The FTC opened an investigation into Herbalife in March 2014, with Lisa Madigan, attorney general of Illinois, and Eric Schneiderman, attorney general of New York, doing the same the following month. That meant that what were at the time the country’s fourth and fifth most populous states had now joined the fight. The FBI started an investigation in April 2014 as well. Harris remained silent. That January, activists met with members of her office. “The concerns were clearly articulated to her staff,” says Brent Wilkes, who at the time was executive director of the League of United Latin American Citizens, one of the groups asking Harris to investigate Herbalife. “They heard us, asked interesting questions,” Wilkes recalls. He says he was “hopeful” that Harris “would come around,” but the activism failed to make a sufficient impact on her. Wilkes did not know that at the time, Herbalife was represented by Venable, which also employed Harris’s husband, Douglas Emhoff. Emhoff does not appear to have been involved in Herbalife’s affairs, but his work at the firm came to the attention of Christopher Irons, a financial journalist who first reported on the Emhoff-Herbalife connection. “Surely this would seem like some sort of enormous conflict of interest, no?” he wrote in 2015. The activists asking Harris to investigate Herbalife did not seem to know that she had a personal connection to the the law firm representing the corporation. “That’s news to me,” Wilkes said when told by Yahoo News about Emhoff’s law firm. Fiorentini wrote that “while Herbalife has outwardly complied with the 1986 injunction ... we believe that it may be directing or enabling the acts of its distributors in ways that violate” that order “and/or consumer laws in general.” She explained that there was reason to believe that Herbalife was empowering its distributors to make false claims about the benefits of becoming a Herbalife distributor. “Herbalife can be liable for consumer violations by its distributors to the extent Herbalife enabled the distributors’ actions,” Fiorentini wrote. The letter went on to cite precedent for conducting such a probe, and noted that a preliminary investigation had already taken place. That investigation “revealed that Herbalife, at least in publicly available documents, has carefully drawn its corporate policies and conducted itself in a manner that is outwardly consistent with the 1986 Injunction.” Fiorentini thought it was nevertheless necessary to “delve behind what is publicly available to determine if Herbalife is directing or enabling its distributors” to act illegally. The contents of the memorandum, or its existence, have not been published before. But it suggests that Harris was made directly aware of the dangers Herbalife may have posed to the people of California. 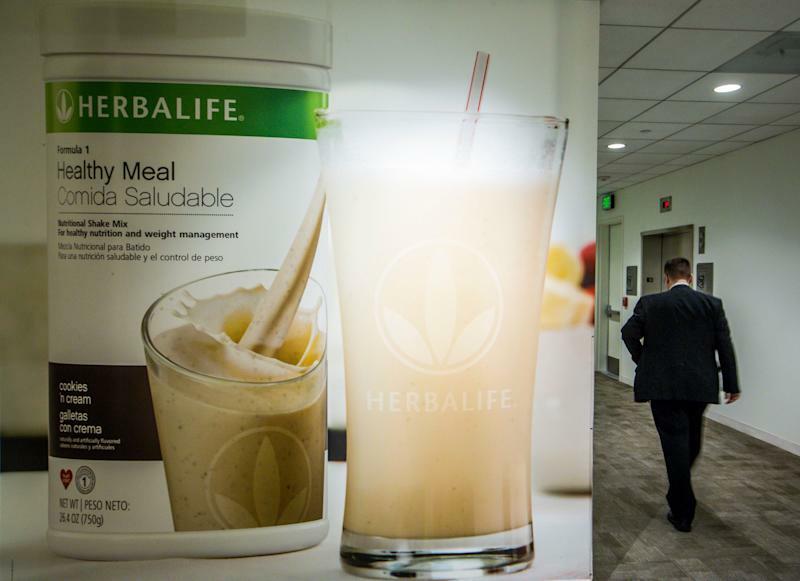 No investigation was opened into Herbalife in response to the memorandum from Fiorentini, who did not respond to repeated requests for comment from Yahoo News. Nor has Harris publicly said why she chose not to investigate Herbalife, a step that would necessarily lead to prosecution. A person familiar with deliberations at the attorney general’s office at the time disputes suggestions of inaction by Harris. The person — who requested anonymity in order to speak frankly — said that the California attorney general’s office did help the FTC with its investigation, namely through its corporate fraud division. And the person said that Harris was hesitant to join a fight between billionaires: In response to Ackman’s $1 billion Herbalife short, investor Carl Icahn bet heavily on the company, and the two men began to attack each other sharply on television. That July, Herbalife hired a top Podesta deputy, Eric Rosen, to serve as its top government relations official. The following year, Herbalife paid Heather Podesta $250,000 for her lobbying work. 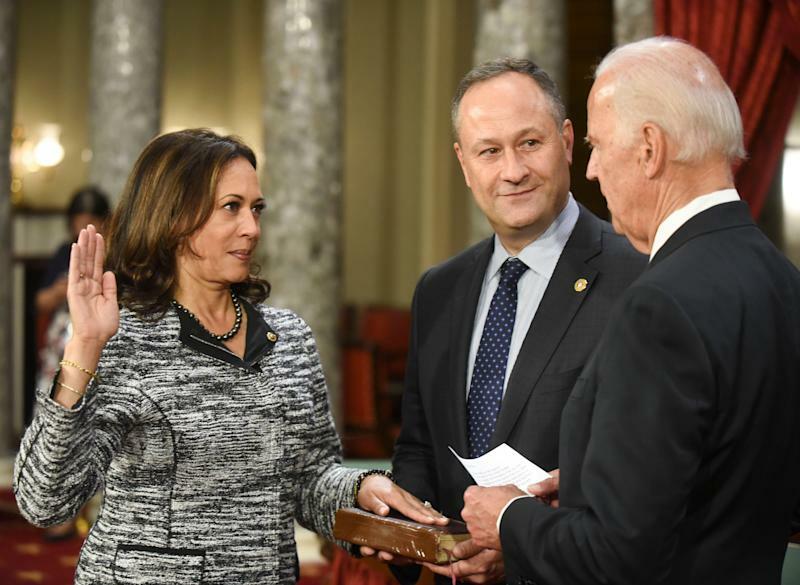 Harris moved on from her duties as a prosecutor in 2016 when, on the same day that Trump became president, she was elected to serve as California’s junior senator. She was sworn in the following January, and exactly two years later she announced she was running to oust Trump from the Oval Office. The FTC won a $200 million settlement from Herbalife in July 2016. Related to that settlement was one with Madigan, the Illinois attorney general, for $3 million. California, which often leads the nation in consumer and environmental regulations, remained on the sidelines. Since then, however, she has faced questions about whether her progressivism is genuine or only a matter of political expediency. She has yet to explain why she declined to pursue a corporation accused of exploiting her Latino constituents. 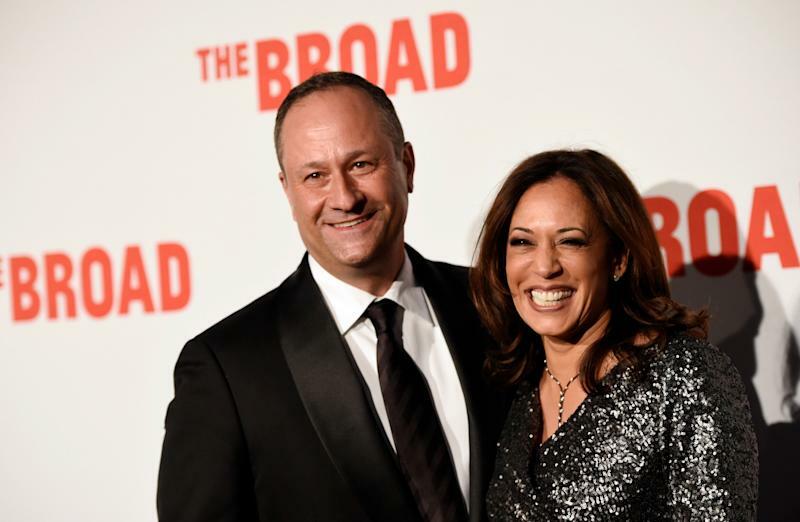 Harris was replaced as California’s attorney general by Xavier Becerra, who had formerly represented Los Angeles in the U.S. House of Representatives. Becerra has formerly received significant political donations from Herbalife’s political action group. His office would not say how, if at all, this complicated considerations about opening an investigation into Herbalife. The attorney general’s press office declined to comment in response to repeated calls and emails from Yahoo News. Editors’ note: This article has been updated to clarify the relationship between Heather Podesta and Herbalife, as well as to include the political affiliation of activist Julie Contreras.